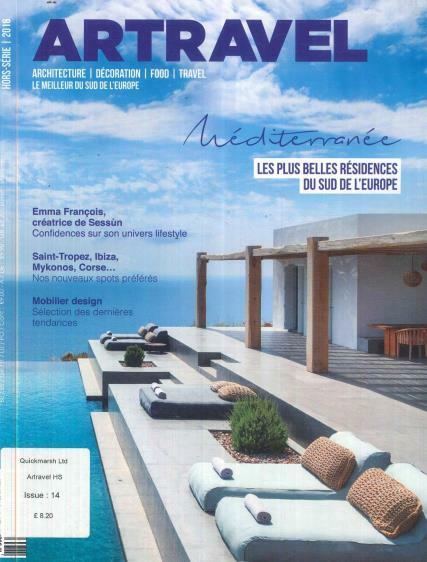 Artravel is a bimonthly French magazine that is published once every two months. This is a magazine that is one of its kinds. Buy a single copy or subscription to Artravel magazine. Unlike other magazines it has a special attraction. Artravel does not only give the information and detailed review and expert advice on the interior decoration techniques, decorating designs, etc. but also give the information, updates and news on the different art forms and gives a taste of all forms of art related stuffs that are happening all around the world. It features all forms of art and travel. Gives updates and reviews on music, travel, film, television, culture, traditions and individual design styles of various designers from all parts of the world. This magazine has been running very successfully around the world. People look up to this magazine for the latest on goings in the art industry. The very good sales of this magazine give an extra boost to the editors to make their magazine better and more appealing to the readers. There are almost fifteen thousand readers and subscribers to this magazine at present.